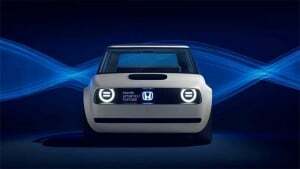 Appearing to be about the size of a Fiat 500e battery-electric model, Honda’s minicar will clearly be targeted at the European market. Demand for electrified vehicles grew sharply in the EU last year, especially for plug-in hybrids which outsold conventional hybrids for the first time, according to industry data. There are some expectations that pure battery-electric vehicles, or BEVs, could top PHEVs in 2019 as more longer-range models come to market. Some changes from the 2017 Urban EV Concept are apparent but they share headlights. A sign of the times comes from Honda’s Korean rival Kia which saw plug-based models saw its various electrified models, including HEVs, PHEVs and BEVs, surge by 36.7% in 2018, to account for 11.7% of its total volume. Plug-based models saw the biggest growth for the brand, gaining 140%, to account for 4.4% of Kia’s European sales. While Honda was one of the first automakers to get into the conventional hybrid segment, with its original Insight model, it has been slower to add plug-based products. Its only fully electric offering, a version of the Clarity line – which also includes a hydrogen car and a plug-in hybrid – offers barely 100 miles per charge. 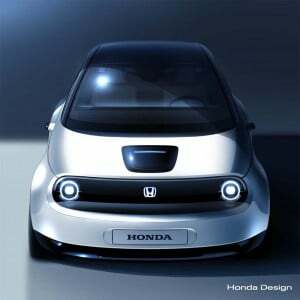 ither way, Honda appears to be ruling out the idea of bringing the Urban EV to the U.S. market, at least anytime soon. 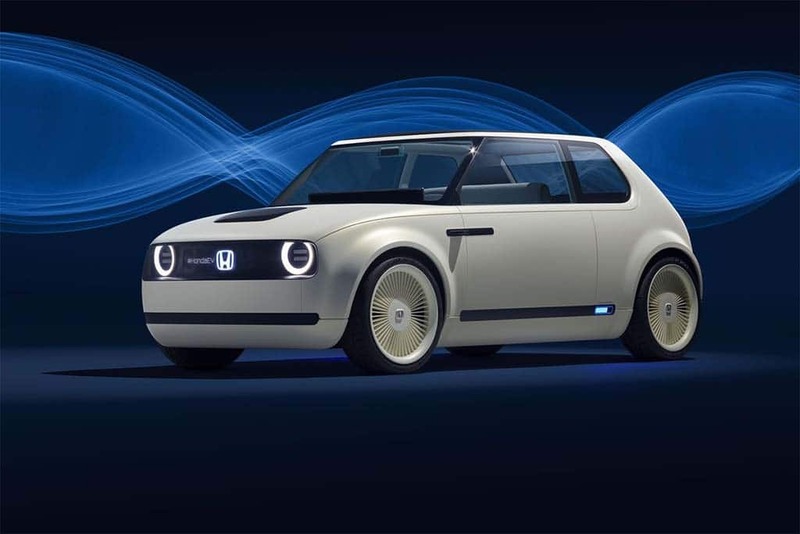 It appears unlikely Honda will bring the Urban EV to the U.S., at least anytime soon. The latest “concept” retains the five-door hatch body style of the original, 2017 prototype, albeit slightly. It also keeps the original, round headlights, as the accompanying shots of both the new and earlier BEVs illustrate. It is believed that the production version of the Honda Urban EV will adopt the now-normal skateboard platform that places its battery pack below the load floor. It’s also expected to use a single electric motor driving the front axle. Don’t expect particularly sporty performance, though the inherent torque of electric motors could provide a reasonable kick off the line. 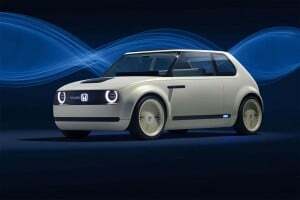 For those who want something a bit more peppy, keep an eye out for a production version of the Honda Sport EV Concept that also debuted in Frankfurt in 2017. This entry was posted on Wednesday, January 23rd, 2019 at and is filed under Auto Shows, Automakers, Automobiles, Business, Concept Cars, EVs, Electrified Vehicles, Environment, Europe, Fiat, First Look, Frankfurt, Geneva, Honda, Kia, Markets, Sales, Technology, Trends. You can follow any responses to this entry through the RSS 2.0 feed. Both comments and pings are currently closed. Honda’s certainly not charging into the EV market. They’ve said they plan to make only 5,000 of these EVs annually and sell them into Europe and Japan, but not North America. Perhaps they are worried about sourcing enough batteries? Is Honda short of factory space? Although I much preferred the retro look of the 2017 Urban EV Concept, I’d buy this toy-car grown up for a unique-looking urban runabout to replace my gen-1 Insight. There’s battery capacity. It becomes more a question of whether a particular vehicle design can be seen to have appeal in each potential market. That can include things like the ability to market and have dealer support.